Do you consider yourself to be highly evolved? 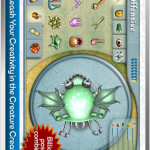 With the Spore Creatures app you can put yourself to the test by designing your own creature and then moving through various worlds to test your design. 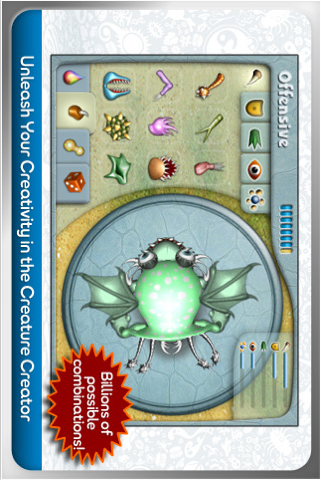 Players of the Spore Creatures app must begin by customizing their character. This is done through the selection of over 45 different body parts, including wings, skins, and colors. This creature must be designed to make its way safely through twenty different levels and four wildly varying environments. 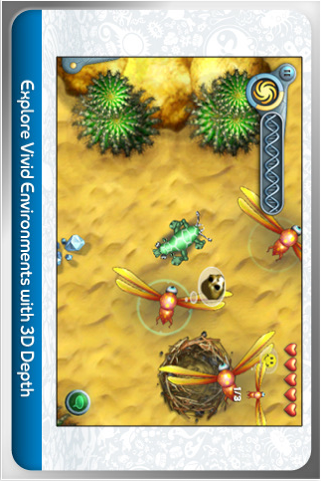 The spore must cross sandy shores, a totally barren desert, a deep dark forest, and an ice covered mountain. Along the way the creature must avoid being eaten, poisoned, or harmed in any way. There are also many puzzles to solve, fellow creatures to meet or socialize with, and DNA samples to collect that will allow the creature to develop even further. Once the creature has discovered the five essential abilities necessary to survive they will find even more ways to evolve their creation and achieve victory. 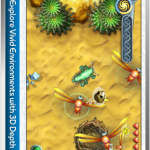 There are many strategy and skill apps, but the Spore Creatures is one that rolls a huge array of challenges into a single exciting option. 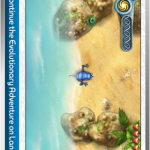 The Spore Creatures app works with Blackberry, Nokia, Palm, Symbian, Windows Mobile, iPhone and iPod Touch devices, and functions with English, French, German, Italian, Japanese and Spanish languages. The cost for the app is $6.99, and any updates are made available free of charge. 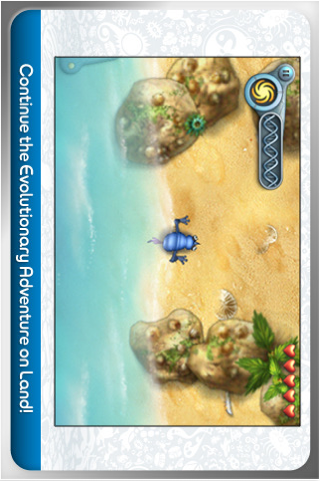 When you want to spend some time developing your gaming and intellectual skills, this is definitely one app to rely on.